I think this is a excellent idea, but I would have to have it painted proably red so I would not hit it all the time. For more info and photos click here or on the photos. 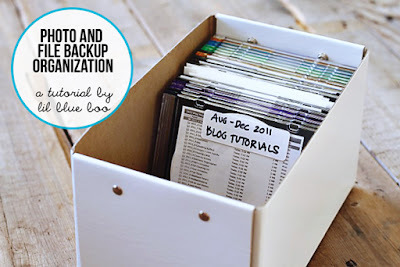 This a very very important issue, to organize all digital content, photos and file backups. So I do strongly recommend a good read of this post by Ashley on her blog. 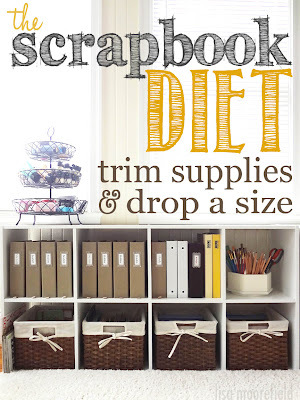 Brandy from Brandycards.com shares her craft room in this video. Leann Chivers, from Crafters Companion, was demonstrating a while back and was using this system to store her dies and unmounted stamps. 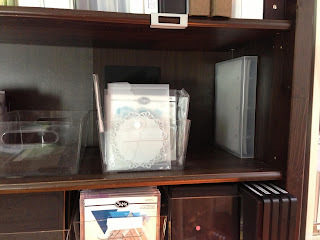 The cases come in two sizes, mini and full size, and so the magnetic sheets or stamp sheets. And, lucky me, I received some samples at my request in both sizes*. 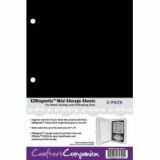 No matter what size you go for, you need to get the magnetic sheets for the dies and the tabbed storage panels for the stamps separately. 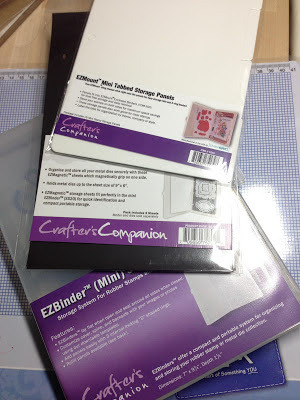 I decided to test them I would try to see how they would work with my HeroArts stamps and Sizzix Framelits dies sets. 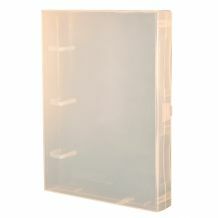 At the time I had them on those clear cases and on an Ikea fridge box which it seems dont make anymore (at least not on sale in the UK). In the mini one I managed to fit six complete Sizzix dies and Hero Arts stamps sets. One thing I love about this system is that is a box, ie, no dies or stamps are going to get lost in transit as all four sides are well closed, which is not the case with all systems. I found that it works best by alternating the stamp inserts with the dies one. One could put the stamps on the reverse so that when the page is open you could see matching dies and stamps together. I like that it is extremely space efficient. On the shelf it doesn't take much space at all. Overall, I liked the mini version better as it is easier to house and to look through a busy workstation. 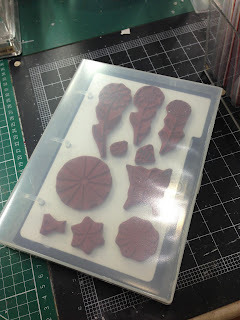 This is extremely good for someone who has a few sets of wafer thin dies and matching stamps. 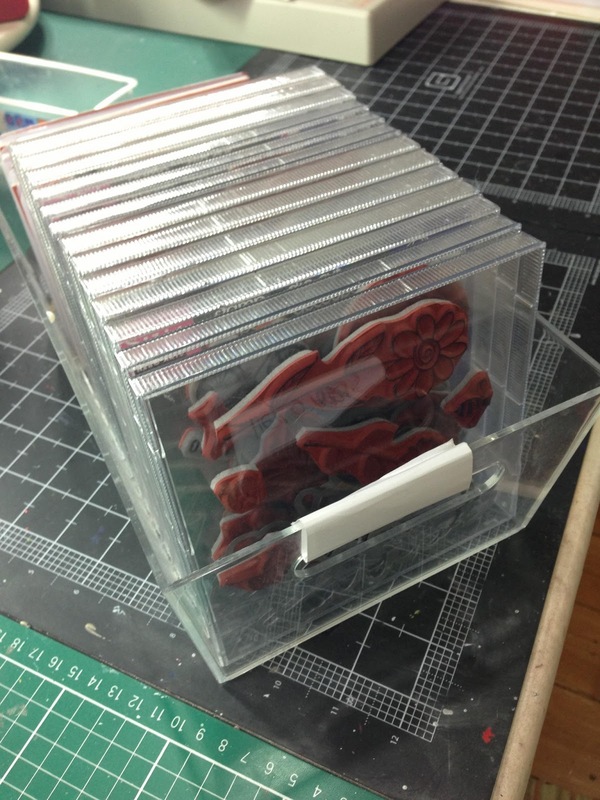 In regards how it compares to the DVD boxes I showed here, well, even the mini fits about three times as many dies and the DVD would not house any stamps. I will be honest, though. I have two minor quibbles. The magnetic sheets require a card backing or they get attached to each other very easily, which speaks of the good strengh of the manet but a bit of a pain while looking through the pages. And second, I know I wil cut the plastic rings, while they would be great for most crafters, for me are a nuisance. But as they are plastic no harm done! I strongly recommend this system for anyone who wants to keep their dies and/or stamps safe and with space efficiency. *The samples were received free of charge, but I am not getting paid for this revies and all of the above is my honest opinion. Elena shares how she stores her most used tools in this video, but it is in Spanish. 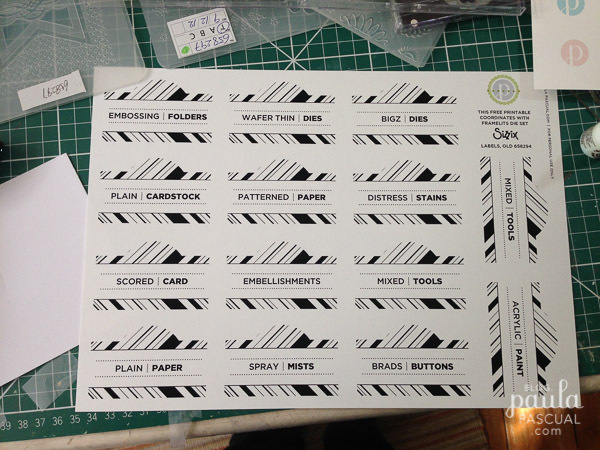 Over on my personal blog I have a free download and tutorial on how I made my new storage labels. Very good article. Strongly recommend it. PS: I did get rid of an awful load of stuf a couple of years ago when I went through a phase of wanting to change jobs - a part from those fours months in 2011 I have been a full time craft creative designer since 2006 - but as i came back to it I regretted parting with some of it. I learnt my lesson. But then again, it is my full time job and having a plethora of things to choose from is important. This one got published in 2010. Well Still is quite good!